FOXP2 is the only single molecule to be directly and repeatedly linked to human speech and language, and thus provides an entry point into discovery of the underlying neural mechanisms. But whose nervous system should be explored? Speech requires vocal learning, i.e. the ability to modify innate vocalizations in order to produce new ones. Only a handful of animal groups are known to exhibit this trait with human speech and songbird song learning being the best-characterized. In contrast, rodents are not thought to learn their vocalizations, but the recent discovery that male mice produce ultrasonic sounds that are song-like reopens the question of whether such songs are learned. Our lab studies zebra and Bengalese finches, two songbird species. We use viral intervention in songbird brains to functionally test the role of such language-related molecules in circuits for vocal learning. We analyze the effect of these interventions at molecular, neuromodulatory, synaptic and behavioral levels. Our long term objective is to discover the neural basis for socially-learned vocal communication such as language. To treat, ameliorate or prevent the devastating consequences of deficits in vocal communication the neural mechanisms underlying this capacity must be understood. Language is distinctively human but other species possess building blocks of language including vocal learning. Songbirds are a unique model because they learn their songs through social interactions in a manner that shares significant parallels to human language learning, including developmental critical periods. We use songbirds to study FoxP2 – a conserved transcription factor whose mutation underlies a severe language disorder – as an entry point into the neuromolecular networks for vocal learning. Like speech, song depends on FoxP2. We showed that FoxP2 expression is regulated in learning juveniles and in adults past the critical period for learning. We demonstrated that disruption of FoxP2 expression disrupts song-learning and production. 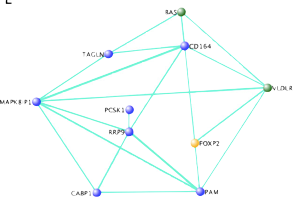 Gene co-expression analysis was then used as an unbiased pathway discovery tool. We identified suites of co-expressed genes (‘modules’) that include FoxP2 whose levels change during singing. These song-related modules were found in juveniles and adults and were limited to the vocal-dedicated basal ganglia. Yet, these modules cannot account for learning because they are present in adults. We now identify modules that are robustly related to how well a juvenile learned its song. These ‘learning modules’ are absent in adults but are shared across the basal ganglia. Our results suggest juvenile vocal-dedicated basal ganglia as the nexus in which song- and learning-related modules intersect. We are examining key pathways highlighted by the intersection of hub genes in our song and learning modules. In 2001, a monogenetic locus for a language abnormality was identified within FOXP2, a member of the Forkhead (FOX) family of transcription factors. This discovery was established through investigation of the KE family, half of whom suffer from a severe speech and language disorder. In each affected member there is a point mutation in the DNA binding domain of FOXP2 which alters its transcriptional function. We are examining dynamic self-regulation (and artificial regulation) of FoxP2 expression and how levels of FoxP2 in the avian basal ganglia contribute to behavioral variability in both juvenile birds during song learning and in adult birds during song maintenance. Certain variants of the CNTNAP2 gene increase the risk of autism spectrum disorder and specific language impairment in humans. How this gene increases the likelihood of these disorders has yet to be ascertained. Songbirds may provide insight into the vocal deficits associated with these disorders. Cntnap2 is differentially expressed in the zebra finch motor pathway for learned vocalizations, suggesting it also affects birdsong, perhaps in a similar capacity to speech in humans. 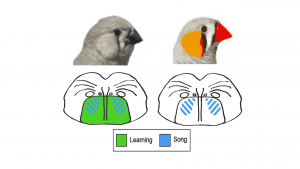 To test this hypothesis we aim to manipulate the amount of Cntnap2 protein expressed in these song-related regions of the zebra finch brain to see how it affects the animal’s ability to learn song. The long term objective of this project is to discover the neural basis for socially-learned vocal communication. 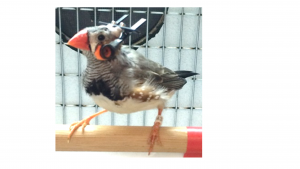 In order to investigate novel singing related gene regulations, our lab conducted a microarray study that revealed over 2000 genes that were regulated by singing behavior in the basal ganglia of adult male zebra finches. We then employed weighted gene co-expression network analysis (WGCNA) to parse out functionally relevant genes. This analysis highlighted the Reelin pathway as important. We hope to order to further characterize this intriguing finding by using a cross-species approach including mice and zebra finches.